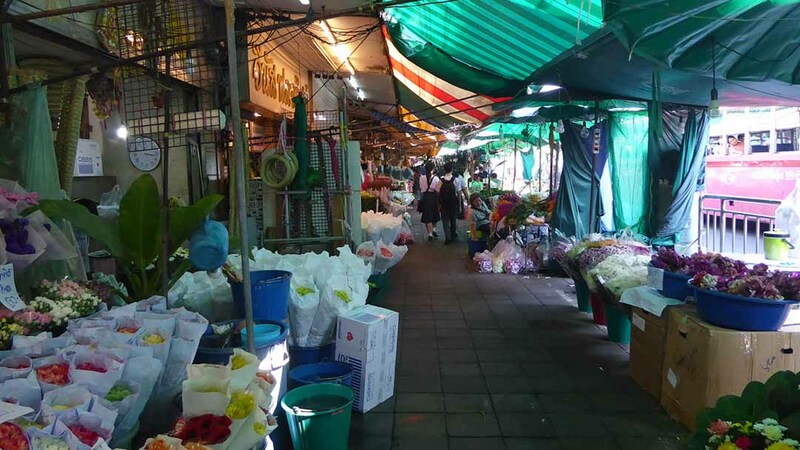 The Flower Market (Pak Khlong Talad) is Bangkok’s largest fresh flower market. It’s located on Chak Phet Road just behind Yodpiman Riverwalk Mall and pier. The market is open 24 hours and is busiest between 03.00-04.00 am. 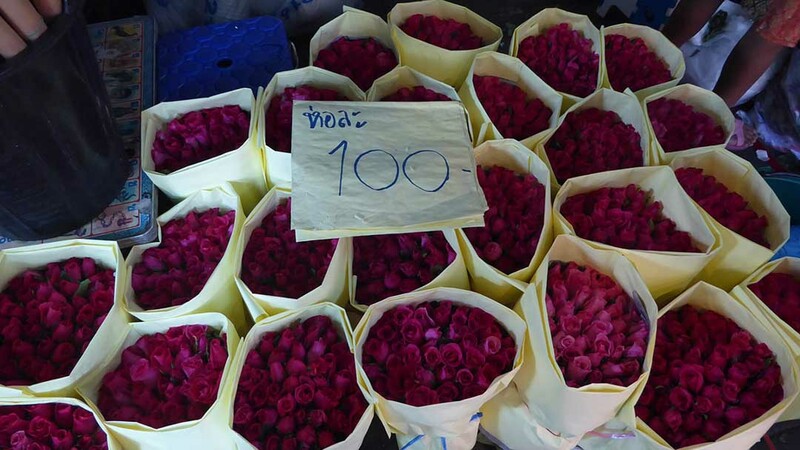 This is when fresh flowers arrive from all over Thailand and from overseas for resale both wholesale and retail. Also, wholesalers and retailers come to buy their stock during these hours. There are shop houses with stalls outside and stalls lining side roads. 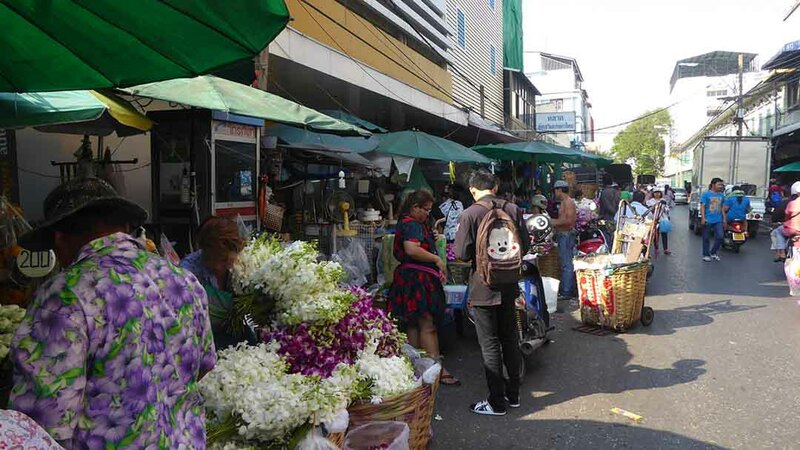 The stalls that previously occupied space on the footpaths have now been relocated to a large new market hall in the Yodpiman complex opposite. You can also buy fruit and vegetables. 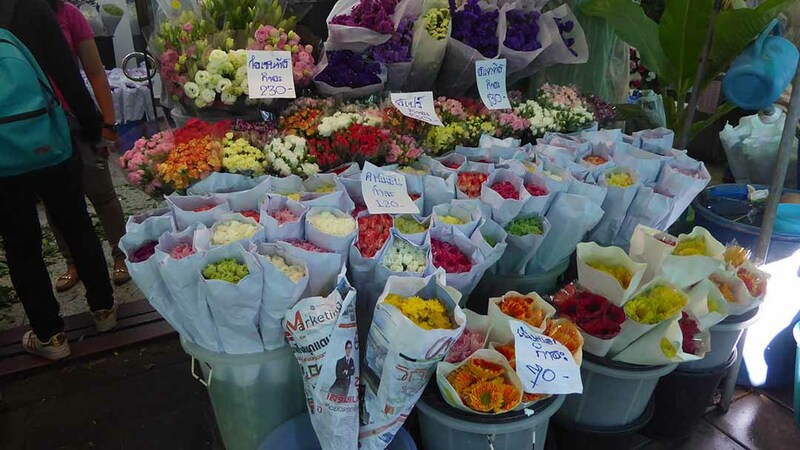 Many vendors sell special flower arrangements and bouquets and will make them to order. 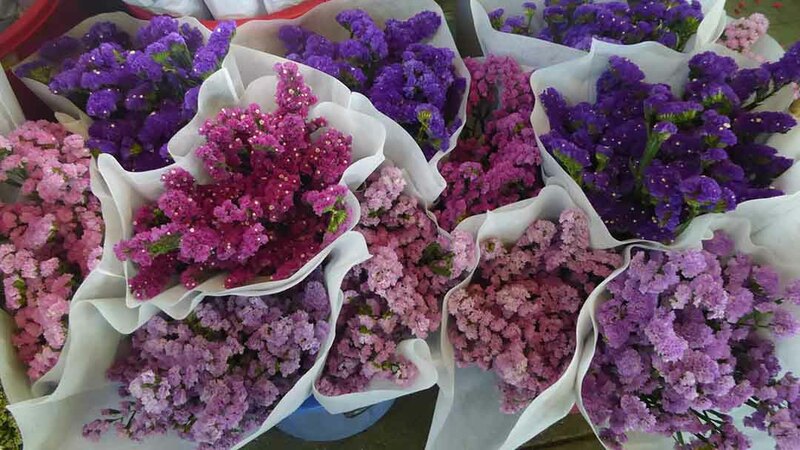 There is a wide variety of flower species available. 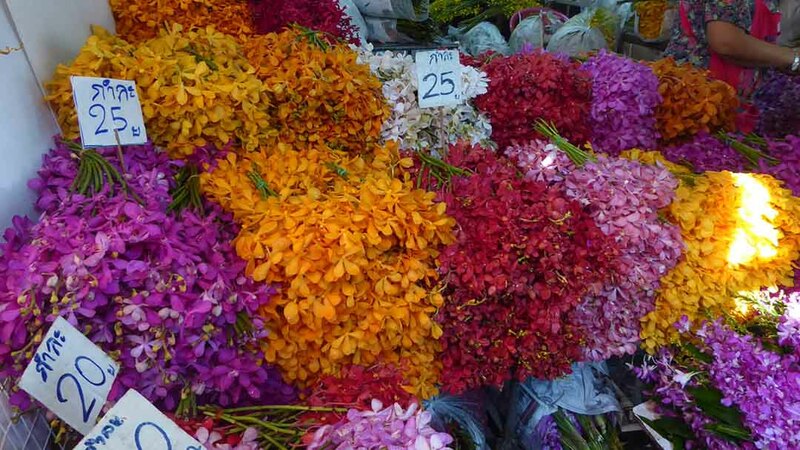 Local species such as jasmine, chrysanthemum, orchids, lilies, and roses as well as imported species such as tulips, snapdragons, iris, and delphinium among others. 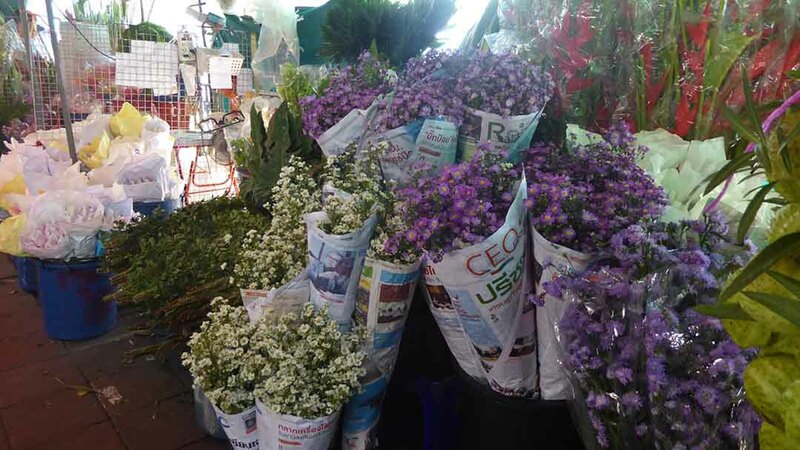 You can also buy artificial flowers and accessories such as vases, flower pots, and decorative items. Yodpiman River Walk on the riverside behind the market has many small cafes and restaurants with a large upper terrace overlooking the river and is a popular evening dining venue. You get good views of Wat Arun from here. There is also a pier which is a stop for the Chao Phraya Express and Tourist boats. Day and night river cruises also depart from here. Location: Chak Phet Road. Rattanakosin district. Boat: Chao Phraya Express/Tourist boat to Yodpiman pier.